Turkish Airlines will launch its inaugural flight to Mexico on August 21st, with a triangle route from Istanbul to Mexico City and Cancun. The entire route will use one flight number, TK181, to be operated three times a week. Passengers will be the first to experience the airline’s new B787-9 aircraft, which debuts a new business class offering. The Mexico City-Istanbul route will be operated from Turkish Airlines’ new home at Istanbul Airport, slated to be the world’s largest once all phases are completed. 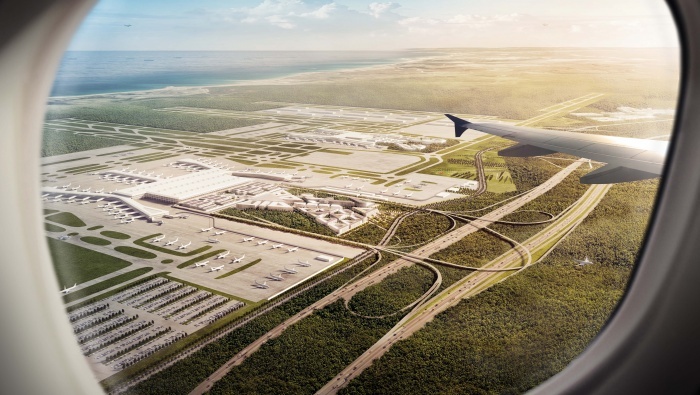 The newly-opened hub, that will welcome up to 200 million passengers its later phases, will play an important role in the future of Turkey’s aviation sector as global aviation shifts eastwards, with Istanbul at the centre. Turkish Airlines chief marketing officer, Ahmet Olmuştur, stated: “We are very pleased to announce this service to Mexico on Turkish Airlines. “As the flag carrier of Turkey, we are continuously looking to expand our network in order to present our quality-focused and service-centric concept to new destinations.